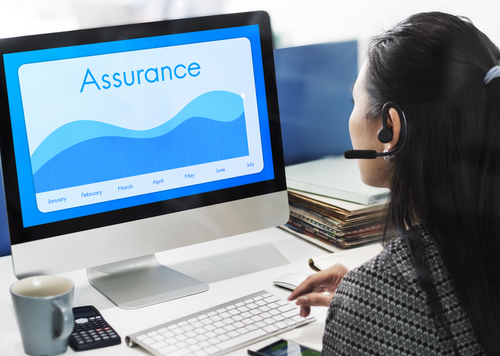 Optimizing call center quality assurance and monitoring will help reduce wasteful expenditure and improve the quality of the service that your team offers to customers. Effective call center quality monitoring allows call center managers to easily identify problems within their teams. It also allows them to maintain strict compliance standards and ensure that customer information is secured. Quality monitoring calls improves customer experience as well. When customers get quick assistance from call center agents, their overall experience with the brand is improved and they stay loyal to the company. Monitoring service agents closely can also help improve call center quality metrics. There are various ways to improve call center quality. One of these is focusing on complete caller experience. Call center managers have to listen to the entire conversation between the customer and the agent to measure the latter’s performance properly and the quality of the call. They should then determine if the call can be considered a quality interaction. Service agents should be allowed to assess their own calls. Listening to their calls and analyzing their performance on the basis of customer satisfaction and quality service will allow them to improve their service and communication skills as well as learn from their mistakes. This should be done every week. Agents should try their best to help customers resolve their problems. This can include transferring the call to a supervisor or another department if they can’t resolve the issue. Service agents should be knowledgeable of the targets and metrics on which they’re assessed. In other words, they should know what quality interaction is composed of. Managers should ask the agents about their issues and constraints as well as ask for their opinion about the practices that are being implemented by the team. Agents should also be presented with live demos to measure their understanding of a bad, good and average call. A voice logger is a helpful learning tool that can be used to record conversations. The recordings are then used for training and quality purposes. Supervisors can archive voice logs in various formats and use them to learn and teach best practices. This can help call centers remain compliant to processes and determine problem areas in case a customer complains. Call whispering can be done as well. A supervisor serves as a silent spectator and an advisor. He or she listens to the call and gives the agent advice or guidance. The agent relays the advice to the customer. We have implemented various practices to guarantee call center quality assurance and monitoring. We promote self-assessment for agents and use tools to provide guidance to new service agents. During training sessions, we allow agents to work with others of matching strengths and to evaluate each other. We are always ready to help agents who need extra training on some issues and reward quality performance to motivate them. 116 Village Blvd, Suite 200,Princeton, NJ 08540. © 2018 Expertcallers.com. All Rights Reserved.